Hundreds of fans and enthusiasts made the journey to Silverstone for Suzuki’s annual All Star track day last week, offering new and veteran riders the chance to get acquainted with the 2018 range of bikes on the three and a half miles of Grand Prix circuit. Some people however were already more than familiar with what Suzuki’s GSX-R range had to offer. 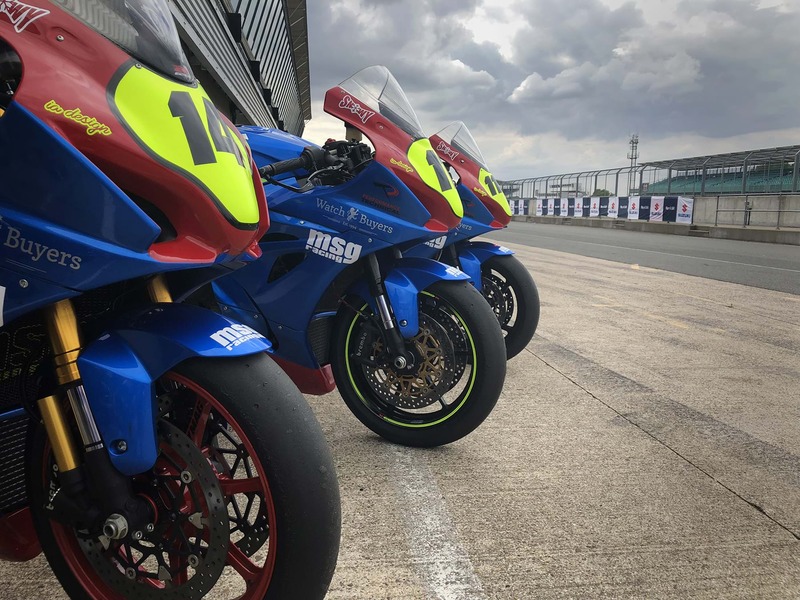 We took the opportunity to chat to Gavin Reid of Hayes, Middlesex after spotting his fleet of race bikes lining the polished concrete of one of the Silverstone garages. His workshop, located in Long Crendon, Buckinghamshire, is a Suzuki specialist and provides road and track bike preparation services. Tell us about the team’s history and what series you race in? So what made you choose Suzuki as your race bikes? What about your history and what attracted you to racing? Suzuki offers a race bike discount programme through its dealerships, which is also supported by its race parts programme. To learn more about the Suzuki range, click here.